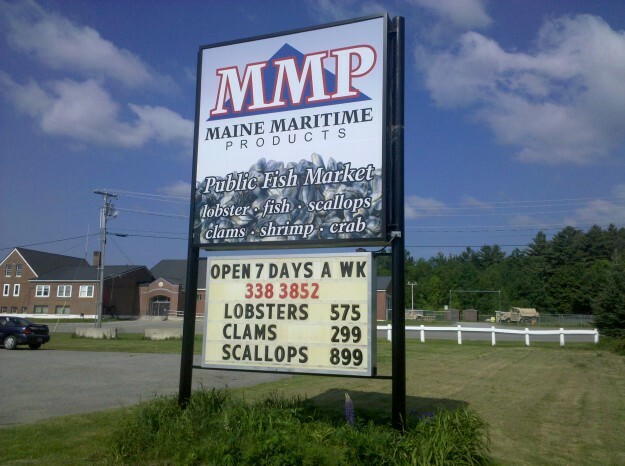 The Maine Maritime Seafood Market offers the freshest, highest quality & variety of seafood to the Belfast, ME & surrounding Mid-Coast Area. Frozen Seafood –We offer a complete selection of frozen seafood, including bisques and chowders. Dry Goods – Lobster Crackers, picks and bibs. Perfect for your lobster feast! Gift Certificates Available – Great for Any Occasion! Please stop by and check out our selection of fresh seafood at 21 Airport Rd, Belfast, ME 04915.